If there’s a website out there that uses the word ‘radical’ more than burningman.com, we should all eat our hats. But hold the mockery. They use it deservingly, and for very good reason. This more or less currency free experimental society, fabulously wrapped up in a music & arts festival, is about as well matched to the word radical as a Tony Hawke skate move. But what’s worth mentioning about a radical festival that’s 2012 tickets have already sold out and whose YouTube clips won’t hit our Facebook feeds until early September? Burning Man is germinating across the globe and has reached Australian shores, with the cutely apt title of ‘Burning Seed’. Like its big brother, the Seed is centred on the ideals of community, self-expression and freedom from modern materialism; guided by ten principles including radical inclusion, radical self-reliance and radical self-expression. Team that with a quirky array of oversized installations and a ton of experimental workshops, and things are a whole new level of radical. 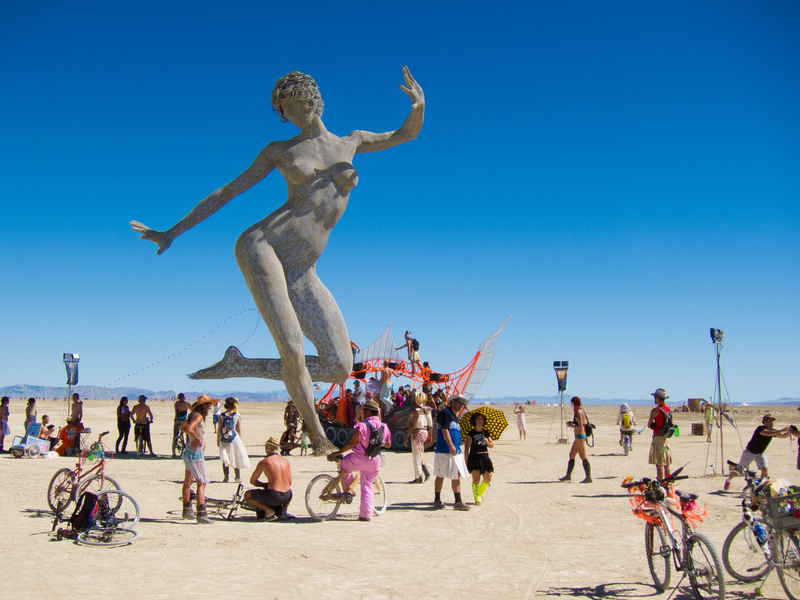 Believe it or not, Burning Seed is now in its third year, but it has (perhaps intentionally) remained a bit of a myth – much like Burning Man did in its first few decades. Date swaps, very little promotion and the constant swapping from one Southern NSW forest area to another make it a pretty hard event to keep up with. The movement’s international cult following stretches across the globe and extends far beyond its festival goers. Pretty impressive for something that started on a Beach in San Francisco with founder Larry Harvey and 20 comrades. As far as we’re concerned, the Burns represent everything that’s wonderful, mould breaking and liberal about the much judged Gen Y. If you wish you were around for Woodstock and love the Sydney Mari Gras, you need a ticket for Burning Seed 2012. They are on sale now at burningmanaustralia.com.